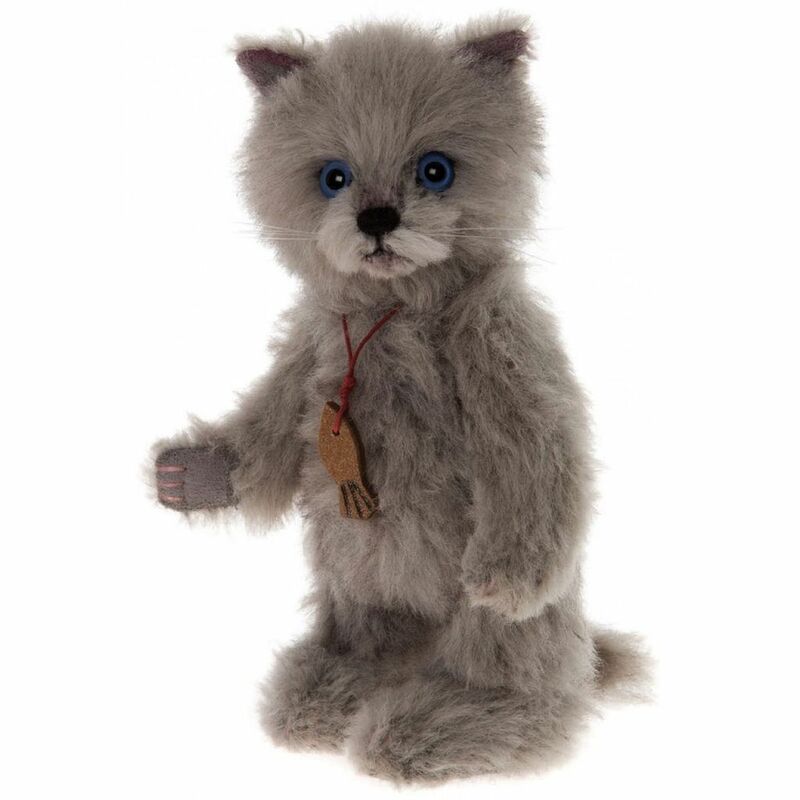 Blue Minimo Charlie Bears Collection 20cm Fully Jointed Kitty Cat. Limited Edition only 1200 Worldwide. Blue is a gorgeous little British Blue kitten. He has the softest coat made from a dense Alpaca, a tiny hand embroidered nose, cute whiskers and the brightest blue eyes so he lives up to his name ! Wearing a a fish necklace this little dot who won't take up much room at all.